I just received word that The Littlest Lamb foundation has broken ground in Egypt for a new orphanage! 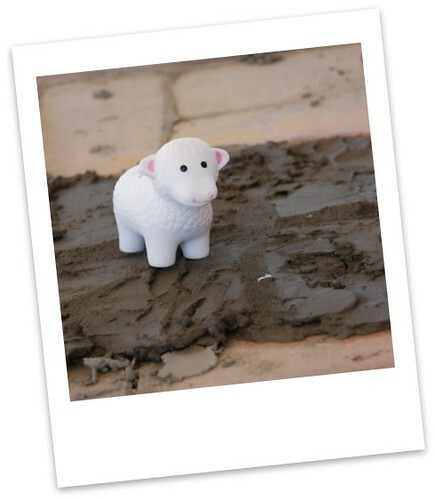 We are thrilled to inform you that on Friday, July 17th, 2009 ground was broken on the Littlest Lamb Orphanage site! The event was a tremendous success, with everyone from the architects, to the engineers, to the families and friends of the project in attendance. 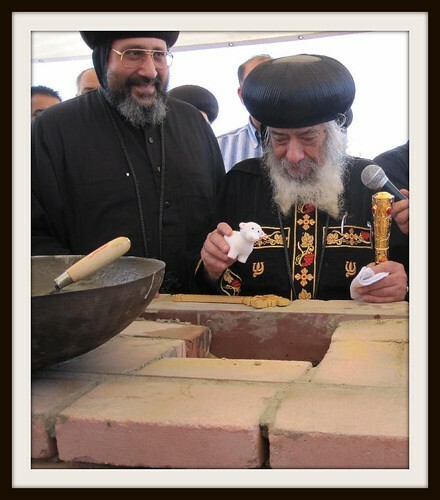 The excitement doubled when Pope Shenouda III, leader of the Coptic Orthodox Church, the largest Christian sect in Egypt, arrived to bless the land and lay the first bricks (beneath which he buried items such as a cross, a coin, and a mini lamb)! This is great news indeed. It's really humbling to see the direct result of the generous supporters and hard work of The Littlest Lamb organizers making progress. But it doesn't end here, funding and support is needed now more than ever and I encourage you to make a contribution or help out in any way possible. No matter how big or small, your contribution will help tremendously. You can be sure that the very bright and capable minds behind The Littlest Lamb will do the absolute best in making every dollar count. Right now, you can donate through their usual donation page via Littlest Lamb-paigns (as low as $1, monthly or one-time), or support one of my close friends, Nader, who is looking for sponsors in raising money for the Hamptons Marathon (26.2 mile race) he is running in September. If his goal of $5,000 is raised, an anonymous donor will match the donation.